2048 is a game developed in 2014 by a 19-year-old Italian developer Gabriele Cirulli. 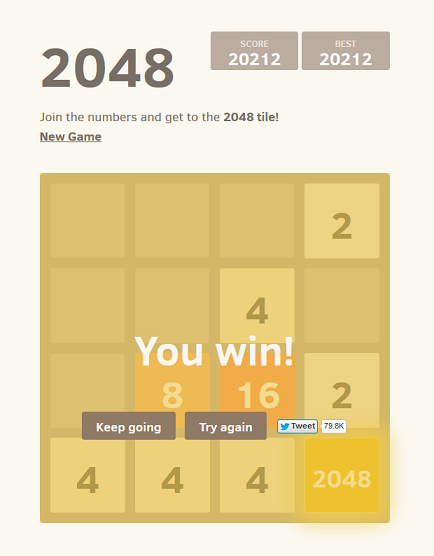 The objective of the game is to slide numbers to combine them and get the 2048 tile eventually. The game was created as a clone to an already popular 1024 game, where the rules are the same. The game spreaded like a virus, having almost 4 million players in less than a week.You win the game if you achieve the 2048 tile. However, you can continue playing to reach higher scores, with 131072 being the highest possible score.